Navigating the self-publishing world has been an adventure. I am pushing myself beyond my known boundaries. The feeling is exhilarating and scary. I have not thought, not once, of failure and I am grateful that I am gifted with such a fierce optimism. That optimism has gotten me through some very rough patches and I know that it will carry me through the rest of my life. 1. TIME - I am not sure that they will move on it quick enough for me. They are looking for "trending" stories that are highly marketable. I think I am a great story-teller but I don't want to sit and wait for them to decide. I set a deadline for myself and I want to keep that deadline. 2. EDITING - Though I would appreciate feedback, I don't want my voice to be drowned out by an editor that wants my story to be "more marketable." The idea behind my writing is not just to sell books but to have my words and the stories make an impact on the reader. 3. CREATIVE FREEDOM - I have a clear vision of how I want the cover to be and how I want the text to be formatted. I have not eliminated the possibility of pitching this manuscript to a publishing house. A dear friend of mine whose resume is quite impressive as a cultural expert (she was a consultant on Disney's Moana) has already put me in touch with Little Island Press located in Auckland, NZ. I don't want to wait though. I want to push this first novel into the print world. There are so many more that are coming after it. People think that writing is cheap. And it is. It doesn't cost a thing for me to put my ideas on paper or here on the world wide web. But to bring it all to life costs money. Think of an artist that has sketched or has sculpted or has took beautiful photos. How do they bring it forward? They need the materials and then they need all the fluff to present their final product. Fluff = frames, columns and stands, printing costs, marketing -- it all costs money to present the end product to the world. And though sales and future commissions on their creative works might be a byproduct, that will not be realized for weeks or even months, sometimes years. Vincent Van Gogh probably had no clue the "value" of his work while he was alive. 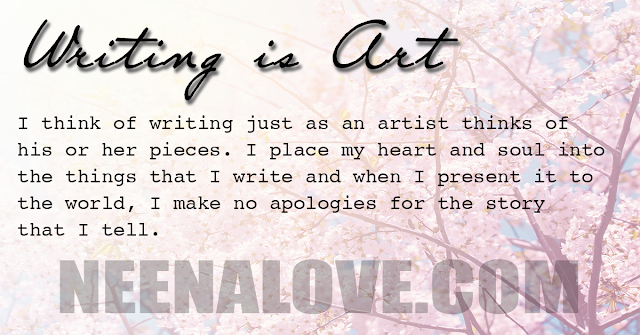 I think of my writing just as an artist thinks of his or her pieces. I place my heart and soul into the things that I write and when I present it to the world, I make no apologies for the story that I tell. The best stories will change you, will push you to think of things differently. So as I continue to weigh my options for bringing my first novel to life, self-publishing is still my chosen avenue. It is expensive -- from copyrighting the material to the actual publishing and the marketing. I thank the people who have contributed to this first endeavor - donors who gave without hesitation. And though it is not enough yet, I am extremely grateful and humbled by their generosity.